To get through the rainy days we’ve been having in Colorado lately, I made the perfect rainy day treat, vegan almond biscotti! 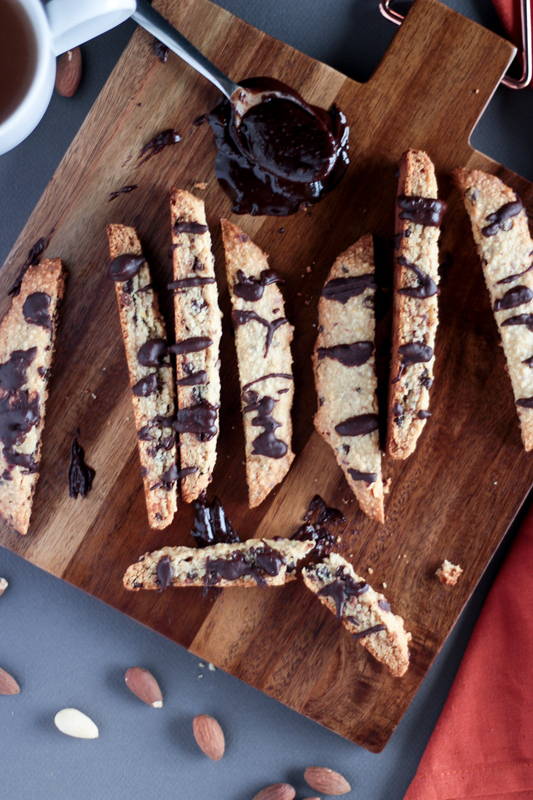 There’s no feeling like listening to the rain pitter-patter on your window sill while dipping a chocolate-chip biscotti into a mug of hot coffee. Ahhhhh peace. I made this recipe first as a birthday cake for Matt last summer. I used two 6-inch cake pans and made a small double-layer cake with vanilla bean frosting on top and in between the layers. This time, I wanted to make these strawberry cupcakes for Valentine’s Day so I adapted the recipe to make vegan vanilla bean cupcakes. 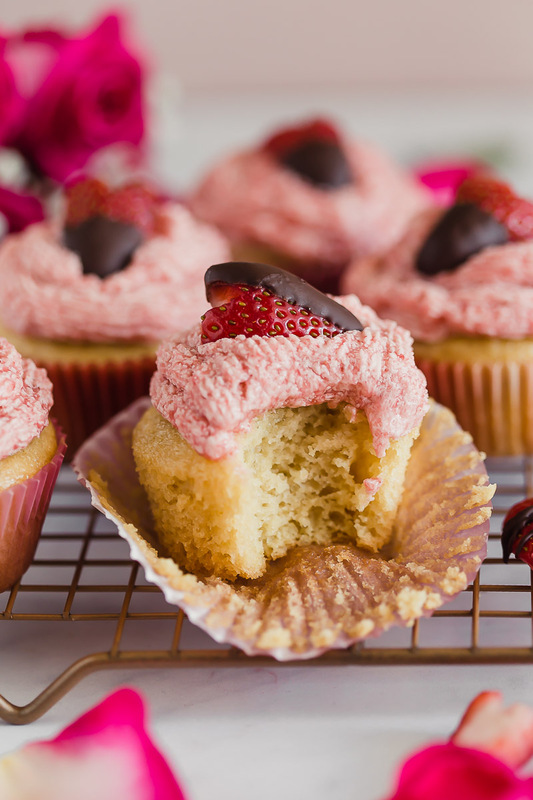 This recipe for vegan strawberry buttercream cupcakes is perfect to make for my favorite holiday – Valentine’s Day! The strawberry buttercream is made with fresh strawberries giving it that sweet and tangy flavor that everyone loves about strawberries. 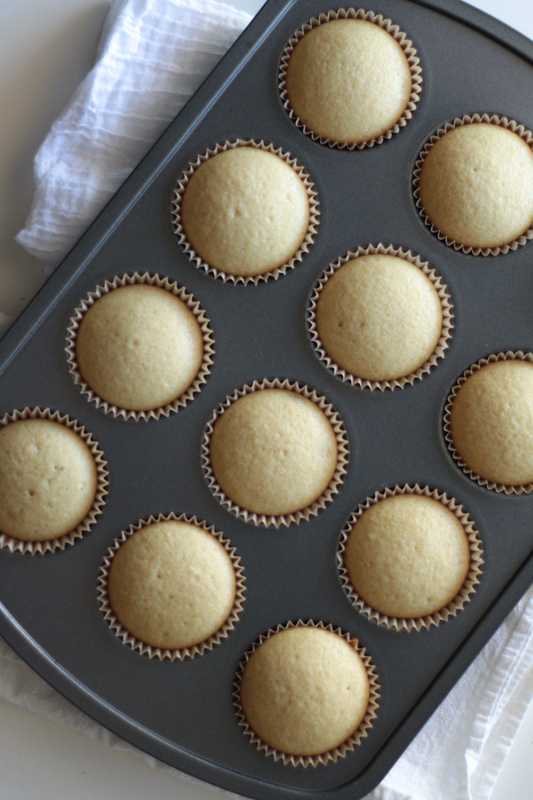 The cupcakes are light, fluffy, and filled with notes of vanilla. We topped our cupcakes with cute little strawberry hearts dipped in chocolate – I’m in love!